Entertaining and cooking outdoors couldn’t get much better than this. 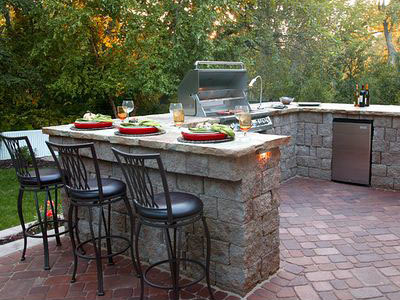 Outdoor kitchens can be as simple as a built in grill or more elaborate and creative complete kitchens with bar tops, refrigerators, keg systems, and wine refrigerators. Dream big with granite or stone countertops, creative block work, and accent lighting. 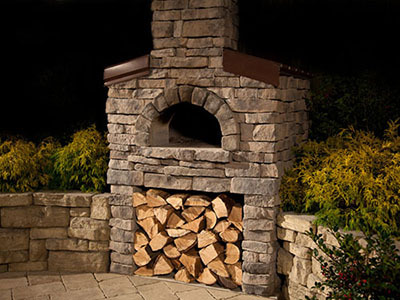 If you like to bake pizza or just like the smoky taste of oven grilled food you will fall in love with your wood fired outdoor pizza oven! Let us help you create your new favorite gathering space, built with quality and experience, and built to last. If you can dream it, we can build it!